Fast efficient service with an excellent attitude to health & safety. Keep doing what you're doing. If all of my subbies were as good as you lot, my stress levels would be zero. We first worked with Avalon in 1996. They have investigated; proof loaded and certified existing Fall Arrest and Industrial Rope Access systems for us. They have installed equipment and carried out building fabric repairs under our control.  The work Avalon has carried out for us has been of a consistently high standard, and we are able to support their being granted IQP status for the types of systems concerned. The work Avalon has carried out for H.C.C. has been of a consistently high standard, and I would recommend their services.